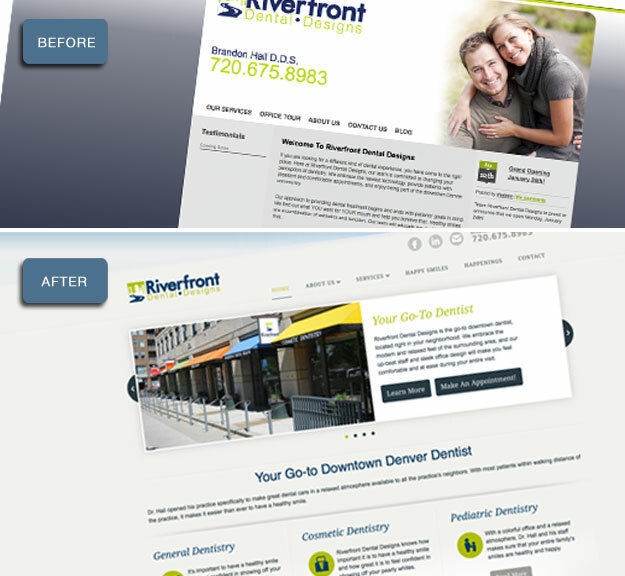 Say Hello to Riverfront Dental Designs New Website! Congratulations to Riverfront Dental Designs on their new website! Big Buzz Brands took into account the fun location, young demographic and what was uncovered in their brand study to craft a custom website that would speak to the practice’s target audience. We loved working with this modern, downtown Denver practice. Check out the transformation from old to new!